​As an artist, I challenge myself to see the world with fresh eyes each day. It is a life-affirming action that helps me grow both spiritually and artistically. I must slow down enough to observe, contemplate and admire the beauty that surrounds me. I have lived most of my life on the beautiful coast of Maine with the sea, woodlands, and marshes close at hand. But unlike many artists who live in a place of intense panoramic beauty, it is not the drama that appears in my work. It is the simple beauty that others may overlook that catch my eye and influence my abstract paintings; the delicate shape of a dried rhododendron leaf, tire tracks in the slush, peeling paint on a dilapidated barn, the elegant drawings of the black, bare branches against a gray sky. My artwork is imbued with a dynamic sense of rhythm, internal energy and the pulse of my natural surroundings. The constantly changing seasons provide an array of color, texture, and moods; from the brilliant intensity of fall to the stark quiet of winter. This changing environment is reflected in my work. I work in series and allow myself freedom to explore and expand my visual vocabulary. Some series are energetic, complex, and colorful, while others are restrained and subdued with strict limitations of palette and materials. I find the variety challenging and energizing. Many materials fascinate me and I approach each with a sense of exploration and discovery. Whether working in encaustic, collage, drawing, or printmaking each technique adds a unique quality to my artistic voice. ​2017 Diane Bowie Zaitlin, Ocean House Gallery, Cape Elizabeth, Maine. 2016 Revelations, Rochester Museum of Fine Arts, Rochester, New Hampshire. Diane Bowie Zaitlin drawings, June Fitzpatrick Gallery, Portland, Maine. 2015 Undercurrents, Maine Jewish Museum, Portland, Maine. 2013 Eloquent Silence, Elizabeth Moss Galleries, Falmouth, Maine. 2008 North Dam Mill, Biddeford, Maine. 2004 University of New England, Biddeford, Maine. Passageways, Saco Museum, Saco, Maine. 2002 Alchemy, University of Connecticut, Storrs, Conn.
2001 Exit, Davidson and Daughters Contemporary Art, Portland, Me. 1997 State House, Augusta, Maine. 1996 St. Joseph's College, Windham, Maine. Expectation of Place, Cynthia Winings Gallery, Blue Hill, Maine. Viewfinders, Cynthia Winings Gallery, Blue Hill, Maine. Lines of Thought, CTN Gallery, Portland, Maine. Plenty, Cynthia Winings Gallery, Blue Hill, Maine. August 2016. Water Effects, Schweinfurth Arts Center, Auburn, N.Y.
Elemental Forces at Cynthia Winings Gallery, Blue Hill, Maine. Fall Salon, June Fitzpatrick Gallery, Portland, Maine. Art Collective, Carver Hill Gallery, Rockland, Maine. Black and White, River Arts, Damariscotta, Maine. Juror Bob Keyes. Abstract, River Arts, Damariscotta, Maine. Juror Suzette McAvoy. Celebration of Color, River Arts, Damariscotta, Maine. Juror Bruce Busko. Maine Women Pioneers III, Dirigo at University of New England Art Gallery, Portland, Maine. The Future of the Past: Encaustic Art in the 21st Century, at the Boston Center for the Arts, Boston, Mass. The Power of Ten, Discover Portsmouth, Portsmouth, New Hampshire. 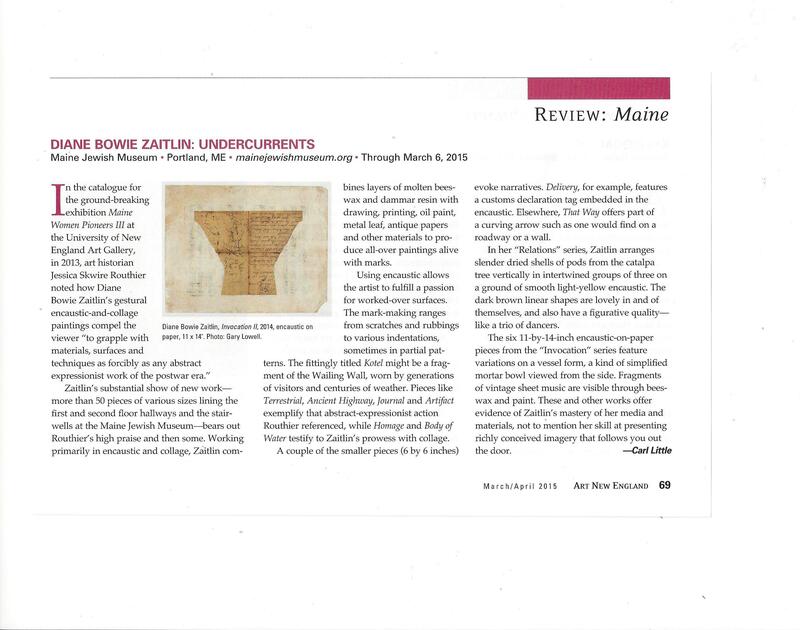 Maine Arts Journal, UMVA Quarterly, Winter 201:. Lines of Thought. 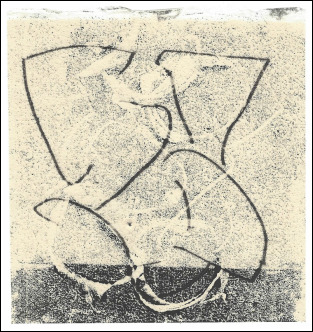 ​Diane has exhibited extensively including group shows at Cheryl Pelavin Fine Arts, New York City; The Art Complex Museum, Duxbury, Mass. ; Saco Museum, Saco, Maine; ArtSpace Gallery, Maynard, Mass. ; Carver Hill Gallery, Rockland, Maine; Flat Iron Gallery, Portland, Maine; Leighton Gallery, Blue Hill, Maine; Elan Fine Arts, Rockland, Maine; Greenhut Galleries, Portland, Maine; George Marshall Store Gallery, York, Maine; Brian Marki Gallery, Portland, Oregon; Redhouse Gallery, Dubuque, Iowa; Silvermine Guild Arts Center, New Canaan, Conn.; Charter Oak Temple Gallery,Hartford, Conn.; Slater Museum, Norwich, Conn.
​Diane received a B.F.A. from the University of Connecticut,Storrs, Connecticut and also studied at Skidmore College, Saratoga Springs, New York. She has studied at Haystack Mountain School of Crafts, R & F Paints, Kingston, N.Y., and Maine College of Art. Diane has been an artist-in-residence at schools and museums with the Maine Touring Artist Program of the Maine Arts Commission for over twenty years. 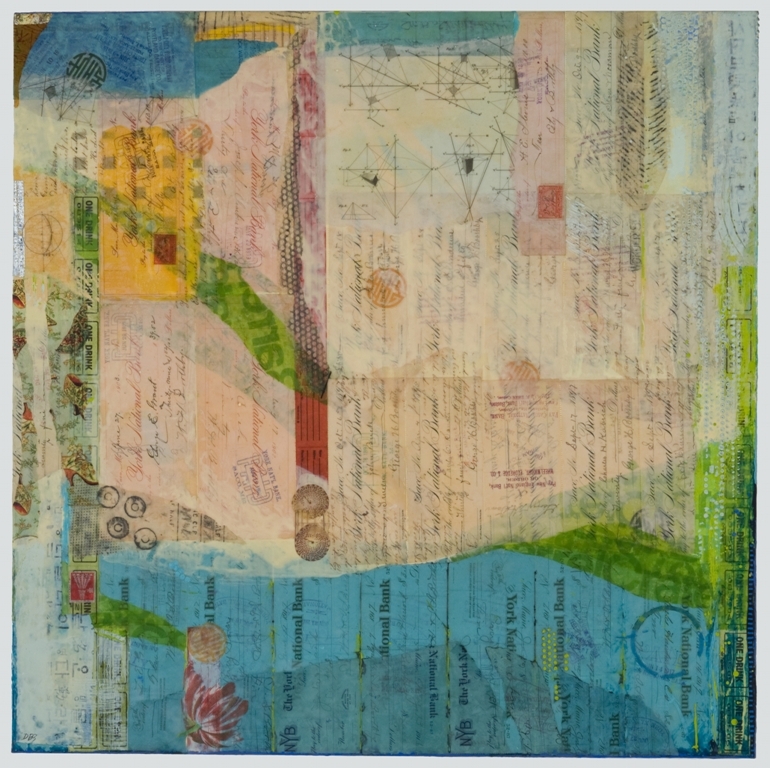 She currently teaches small independent encaustic workshops at her studio in Saco, Maine. Please enjoy viewing my work and let me know if you would like further information on purchasing artwork. If it is currently showing at a gallery, I will refer you to the gallery.